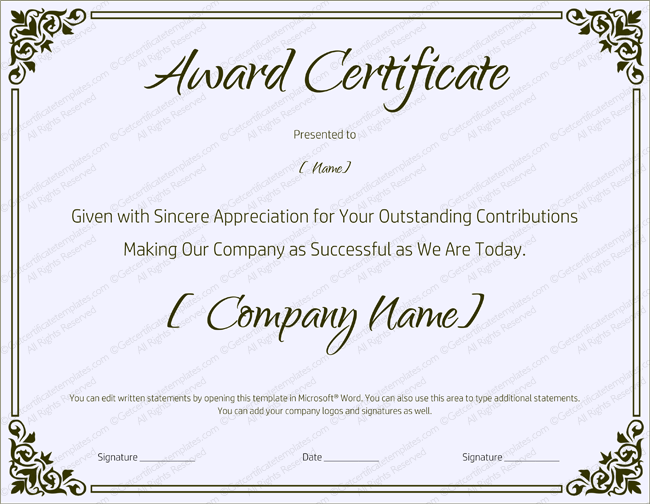 Retirement Award Certificate Template is the perfect way to honor that special employee who devoted their working lives to the success and prosperity of your company. 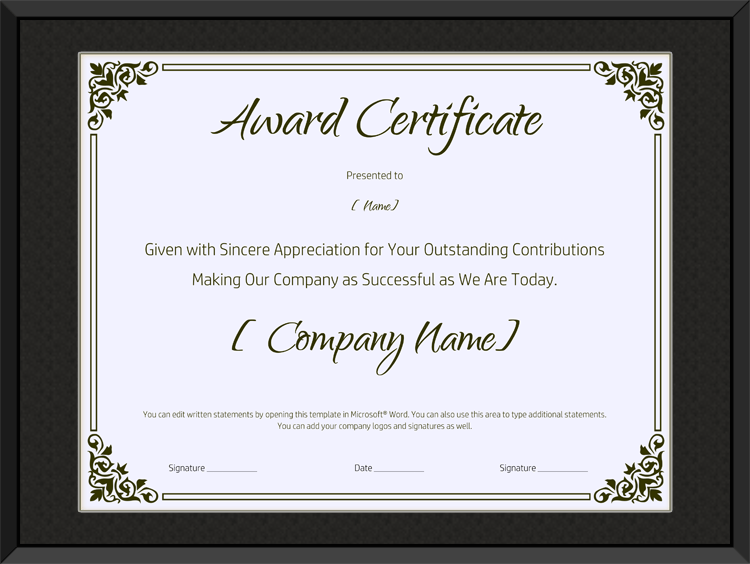 When that time arrives, and you wish to show that employee your appreciation, a downloadable Retirement Award Certificate Template is the perfect choice. 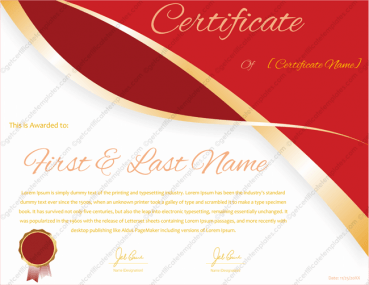 Our printable templates are compatible with Microsoft® Word and completely customizable to include names, dates, logos and signatures. 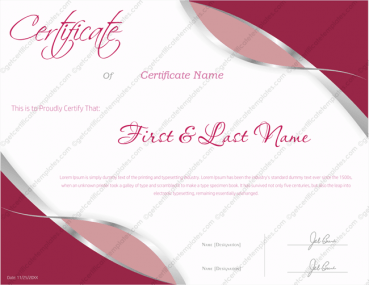 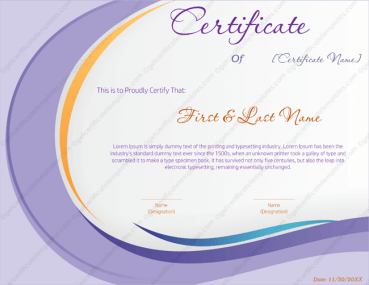 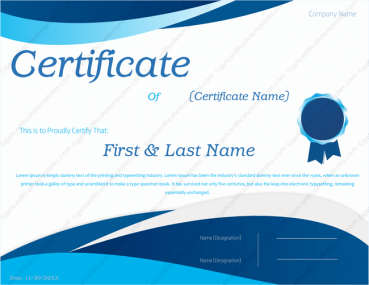 All you need to do is to download, edit, and print the certificate. 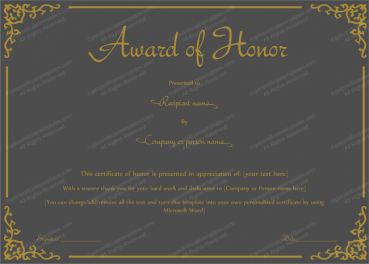 This particular design is elegantly presented and framed by intricate scroll work at it’s corners, with a delicate scripting font amid a monochromatic background of subtle tones of blacks and whites. 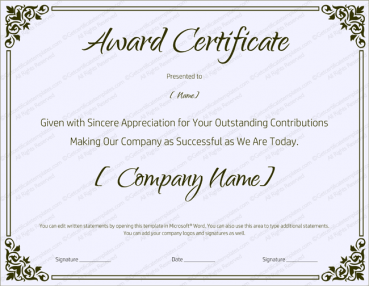 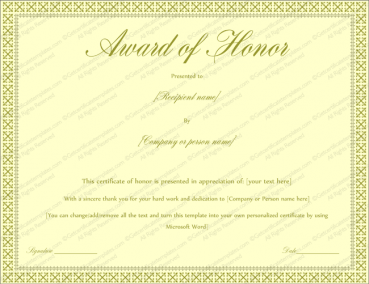 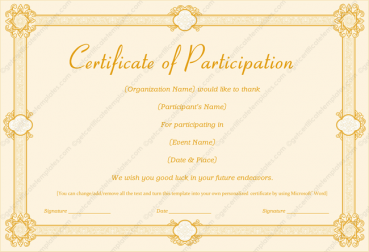 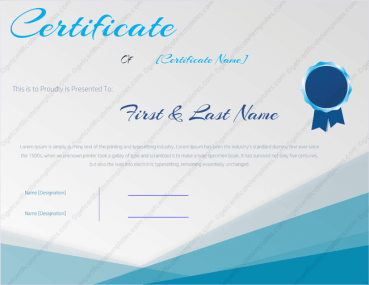 All of this creates a certificate that has a look of elegance and beauty, ready to be framed and presented by you, to your employee as a way to show your appreciation for their many years of distinct and dedicated service.